Add Project Team Members – As a project manager, you can add team members and their details. Client team members can also be added. This will help in keeping them in loop and giving the project higher transparency. Create To-Do Lists – Tasks can be created in the project. You can assign a due date and a person to the task. An email can be sent to the person via Basecamp informing him/her about tasks assigned. Hold Discussions – You can create discussion topics, add content including attachments and send to people in the project. They can give their views. The discussion will appear on the project home page when the user logs in. Discussions can also be sent as an email to people not added in the Basecamp project but need to be notified of some project information. Create Documents – Documents can be created within Basecamp. These can be collaborative and other users with permission can edit it. Revision history can be seen and earlier version can be restored too. These documents can be opened in the mobile version as well. Track Milestones – Milestones are major events of the project that the team is working on. Milestones can be related to To-dos to indicate the tasks to be completed for a milestone to be achieved. Have different project views – There are different views that give an update on the project. The calendar view allows to see tasks on a project on the basis of dates. Another view shows users and the tasks they are working on. A third view shows open and closed tasks. Archived projects are not included in the number of active projects. You can buy extra space if required without changing your preferred package. The unlimited annual package gets priority support and more options for payment. Basecamp is a simple and elegant tool to use. It is easy to use and intuitive. It allows for collaborative Project Management. It allows for integration with various third party tools for backup and synchronization. There are free (use up to 60 days) and paid versions available. It has some interesting features like the ‘Everyone’ tab allows you to have a quick look on who’s who in the team. 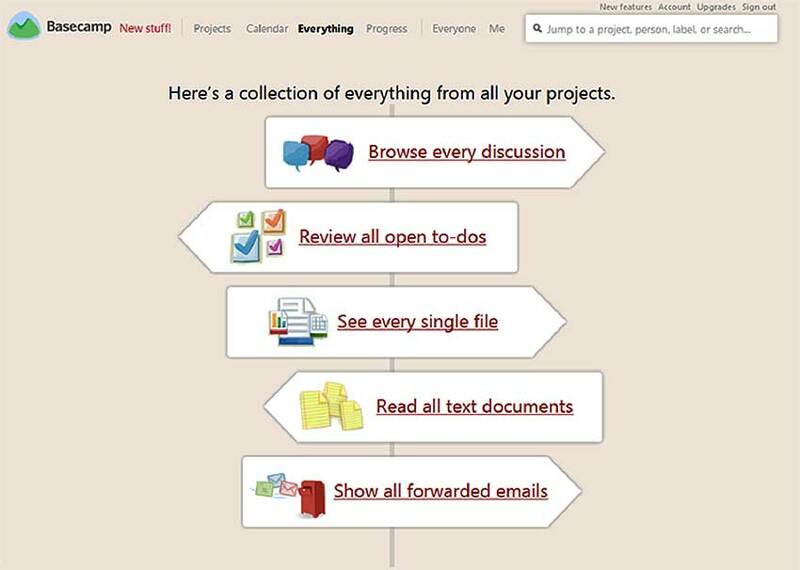 The ‘Everything’ Tab is where everything related to the project can be seen in one view. Everything is autosaved. Even deleted stuff can be retrieved within 30 days. Completed projects can be archived. It offers an official application for iOS. Basecamp offers an open API to users who want to design their own 3rd party integrations. There is a strong security system which includes firewalls, daily backups for major systems, data encryption and surveillance. On the other hand, Basecamp does not have features like creation of Gantt charts and task interdependencies. There are not many accounting related features. There is always some security issue with storing data on the cloud. It is a good application for small projects where a lot of collaboration is required with clients and team or for internal projects. Let us know about your experience using cloud based or online project management tools.